It was Christmas 1980, and the Sears in my town had a huge window display featuring an elaborate train set, giant teddy bears, a wondrous assortment of dolls, and many other toys. 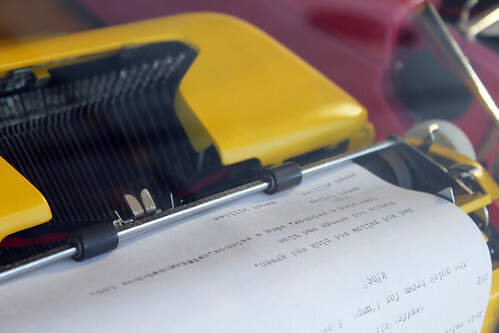 In the center of this marvelous tableau was a little yellow typewriter. I was only 5 and could barely read, but I wanted that typewriter with every fiber of my being. When I visited Santa, the only thing I asked for was the typewriter. And on Christmas morning, it was sitting under the tree. It was like something out of the movies. A dream realized. A wish granted.